BERLIN (Reuters) – Austria and Germany agree that everything possible must be done to avoid Britain leaving the European Union without a trade deal, Austrian Chancellor Sebastian Kurz said on Sunday before a meeting with Chancellor Angela Merkel. 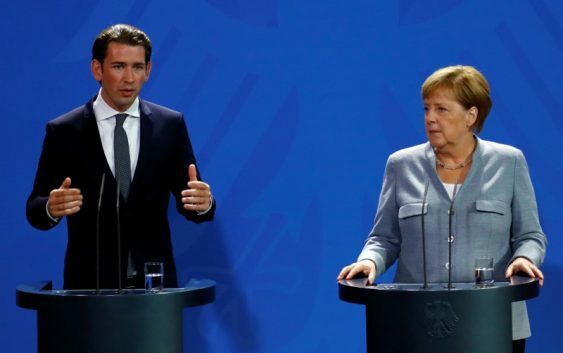 Kurz and Merkel said they were meeting to discuss a range of issues, including Britain’s planned departure from the bloc in 2019, immigration and efforts to bolster EU border security ahead of an informal summit of EU leaders in Salzburg next week. “We have the same view that we must do all we can to avoid a hard Brexit,” Kurz said in a statement before the meeting.